We caught up with the No. 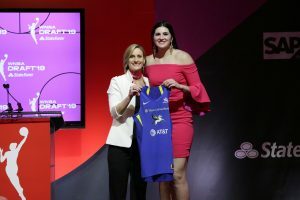 5 pick in the 2019 WNBA Draft to find out a little bit more about her. 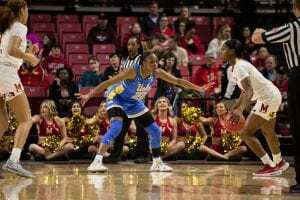 Ogunbowale was a four-year letter winner for the Irish and passed Dallas’ own Skylar Diggins-Smith this season to become the program’s all-time leading scorer. The 2018 and 2019 All-American was All-ACC First-Team in the same years. 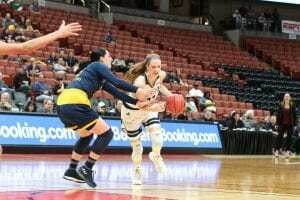 The 5-foot-8 guard’s late game heroics helped Notre Dame take home the National Championship in 2018 and she was a finalist for the Wade Trophy, Drysdale Award and Staley Award during the 2019 season. 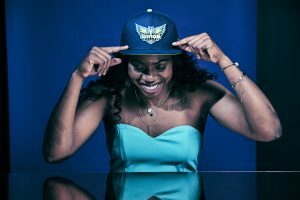 Ogunbowale averaged 17.6 points per game, 2.4 assists per game and shot 44 percent from the field during her time in South Bend. The Milwaukee, Wisconsin product’s 31 total points against Baylor in this year’s championship game were the second most points in championship game history. Q: What was the first thing that went through your head when you found out you were drafted? Q: Give us three words that describe your game? Q: What’s one thing that our fans wouldn’t know about you? Q: If you could go back in time and tell younger you something, what would you say? Q: Who has been a big influence on getting you to where you are today?